Beef Chile Colorado is one of those dishes that not only makes my taste buds sing but also provides a sense of security and comfort during these trying times by taking me back to a more nurturing place — my mother’s kitchen. One of my greatest memories is having my mom fill a warm flour tortilla with the Chile Colorado and her delicious Charro Beans and hand me a burrito for my lunch bag (I even liked the chile colorado cold in a warm tortilla for some strange reason). 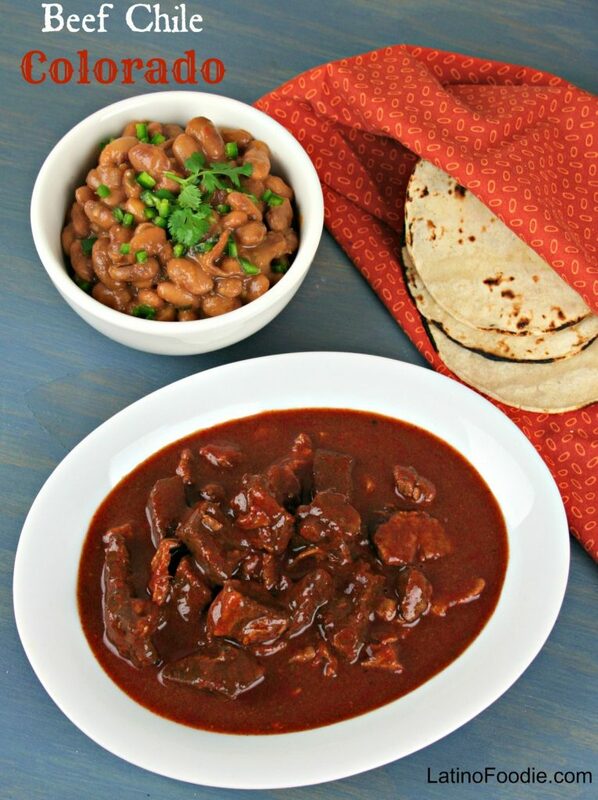 Our Beef Chile Colorado recipe has flavorful and tender pieces of chuck beef simmering in a mahogany colored chile sauce, building a rich, smoky, densely-flavored meal as the minutes pass by. As the stew slowly thickens, the flavor of the California, Pasilla, and New Mexico chiles come forward blending beautifully. Chile Colorado can be traced back to Chihuahua, Mexico, where they also add flour and vinegar and can be made with either pork or beef. We have another recipe on our blog that features the dish with pork. You can find it here. Once you master making the red sauce, you’ll realize you can use it for other dishes as well, such as enchiladas or mix with shredded chicken. Enjoy! In a large stockpot, add the dried chile peppers and onion. Cover with cold water and bring to a boil over medium-high heat. Once water boils, turn off the heat, cover and let the chile peppers sit and soften for about 20 minutes. Add softened chiles and onions to a blender along with 2 cups of the beef broth, garlic, cumin, and oregano and puree. Over a large bowl, pour chile sauce mixture through a sieve, pressing on solids with a spatula to extract as much liquid as possible. Discard solids. Season the beef cubes with salt and pepper and toss in flour. The flour will help thicken the sauce. This is a dish I grew up on but never learned to make until today. I followed the recipe exactly although I did not have pasilla chiles on hand. I used 11 california chiles and 2 chile de arbol because I have a spice sensitive gringo husband, lol. Next time I might add 2 more chile de arbol. This was so delicious, I really do feel like a real mexican cook. I look forward to exploring the other recipes. Thanks for such an easy recipe, this is great comfort food that I remember! It warms our hearts (and pansas) to know you enjoyed the recipe. Next time you make it we’d love to see a photo! I just made this dish with the frijoles charros and Spanish rice for cinco de mayo. It turned out wonderful. I followed the recipe but I had to double it because I have a large family. We actually had enough left over for dinner tomorrow. I just want to thank you for the recipes. I am part Hispanic and I have had trouble with making chile. Again thank you! Wonderful! So glad you enjoyed the recipe. Hi Don – Bring to a rapid simmer and lower heat to medium-low. Add the meat back in and cook uncovered for about 1 hour to allow the liquid to thicken and reduce. Hope you enjoy the recipe. I haven’t made this in a while, so I wanted to look up the recipe to jog my memory. My father is from Chihuahua (so is my beautiful grandmother, the best Mexican cook ever!!!). Guess it was meant to be….thanks!!!! Hope you and your father enjoyed the beef chile colorado. OMG! The best ever. Many years we tried many, many recipes, non met our high expectation, your did. Our favorite Mexican restaurant wouldn’t give us their recipe. Your Chile Colorado is excellent! Freezes great! Next time we make we are going to double the recipe. My husband grew up in San Francisco, many years ago he would get Mexican food at a little dive called The Hot House, could never duplicate the flavor. Thanks to you, you made our dream come true. Darleen – This makes us so happy to hear. Thank you and glad you enjoyed it. Truly is one of my (Stephen) favorite Mexican meals EVER !!!! 🙂 Happy Cooking! My whole house smells amazing, what a tasty authentic recipe, I made it exactly as posted and then I added a bit of cider vinegar… just a tad to brighten it while serving. Jannet – that’s awesome! I love it when our home smells of chiles and other slow stewed meats. MMMMMMMMMM!!!!! Enjoy! I came across your recipe online this afternoon and I was skeptical because I have not found a good Chili Colorado recipe for as long as I can remember. I grew up along the Central Coast of CA in a small migrant town called Guadalupe, CA. In that town there was a restaurant called La Simpitia, as a child growing up there my family would go have dinner 1-2X per month at this restaurant. At dinner it was my brothers, sisters, mother, father and precious grandmother. Of course, I always ordered the Chili Colorado and it came to pass that over the years the family that owned the restaurant sold it and the food was never the same. This was over 35 years ago since I had Chili Colorado that good….until tonight. Your recipe is OUTSTANDING as is! This food brought back such great childhood memories having this excellent food around the table with my family. I wanted you to know that I even called up my 77 year old Mother and raved about this recipe and promised when I got home again to make it for her and bring her back to the past as well. This recipe will stay in my family now going forward and I will look forward to serving such an excellent mole and dish to family and friends. Thank you very much for sharing your recipe and not keeping it a secret. 5 stars my friend!! Thank you for taking me back to my childhood with this recipe and those special memories. My wife who is from Mexico she had never had this before and was amazed and loved it as well. Richard – Thank you for the compliment on the Chile Colorado recipe. We love a good Chile Colorado as well. Hope your mother enjoys it. It’s so difficult when a favorite restaurant serving authentic food closes. So sad!! Happy eating and please share our recipe with family and friends. We love to spread the love of good food. 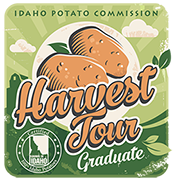 Enjoy the rest of your summer. My parents are on a low fat /cholesterol diet. I was wondering if this recipe would translate well with chicken or if I would be better off just using a really lean cut of beef. Thank you so much! It would work well with the chicken or even leaner cuts of pork, fat trimmed. You want to be careful with the chicken not to overcook it as your chicken will become stringy. I made this today and it was really great. I served it rolled in a flour tortilla with grated cheese melted on top and a side of sour cream. Next time I’ll try and make it a little hotter. I was wondering when making this, do you remove the seeds and membrane from the chilies before you boil them or do you leave them alone and just strain them? All in all it was a big hit at the house and we froze the leftovers for another day. 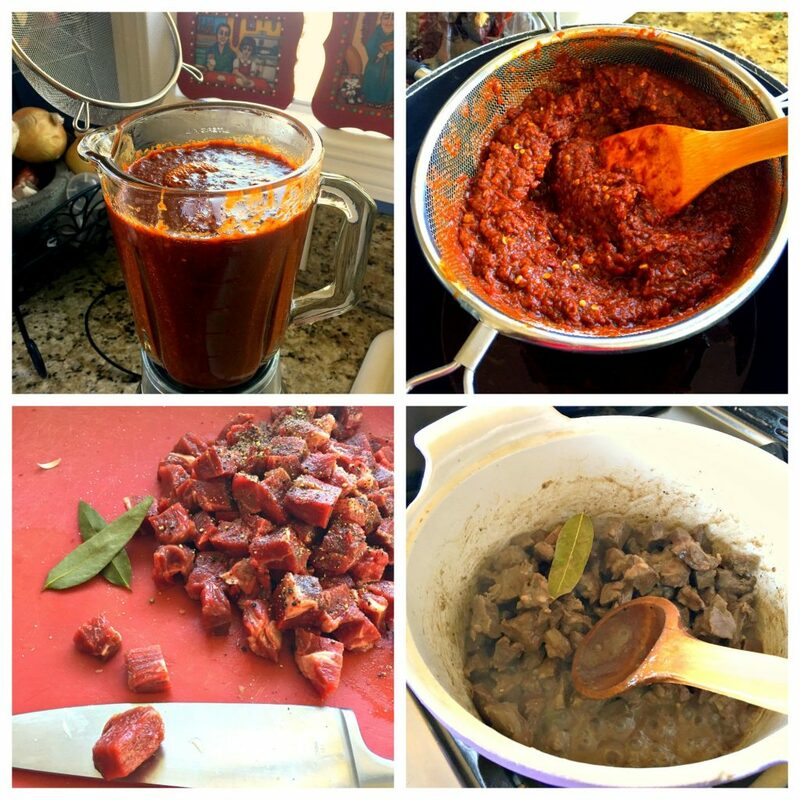 Gary – I am so glad to hear you enjoyed the chile colorado recipe. We leave the seeds and membrane in chiles as we want the heat. I’d remove them if you want the dish to be milder, but from the sound of it, you want more fire in the belly. Nice! Keep on coming back. We appreciate the love. This is my first time making Chile Colorado and this recipe is awesome!! I’ve always wanted to make it but never had the recipe. I heard about this recipe and tried it….delicious!! I will continue to cook Chile Colorado for my family regularly. This is wonderful to hear! You are welcome! I want to make this for a large group. About 30 people. Do you recommend batch cooking or just all at once. I recommend batch cooking it, Michelle. I am making this this weekend for 30 people. Gonna need a big pot! Best of luck! Be sure to share a photo with us. Are you on Facebook? Look for the LatinoFoodie Grub Club and become a member. I have tried a number of Chile Colorado recipes recently to recreate what I used to enjoy at a wonderful Mexican restaurant in Oxnard CA ( Sal’s Miexican Inn, now closed). In almost every case the sauce seemed too bitter. In the past I have added some tomato sauce which I know is not traditional. Do you think this recipe would work as a filllings for beef tamales? What brand of beef stock do you use? Thank you for your help and this wonderful recipe! So glad you are going to try the Chile Colorado recipe. You need to let us know how it comes out. I would use the recipe to fill tamales. I would perhaps cut the meat a bit smaller and add a tad more salt as the salt flavor tends to dissipate when tamales are steamed for hours. As for the beef broth – we use an organic, low sodium beef broth. Hope this helps!! ENJOY! I will be making Chile Colorado for Christmas using this recipe. I am so excited! I love this recipe!!! At first, I intended to make it red, but I didn’t pay close attention, and I bought fresh chilis, not dried. So being green, the sauce came out like a Chili Verde. And I used Top Sirloin Cap, at a butcher’s recommendation. WOW!!! The flavor is dynamite, I added no salt & no pepper, just the natural chili flavors. Better than I expected. So glad to hear you enjoyed the recipe, Tim. Keep coming back. This makes us smile beyond words can describe. It makes my heart sing! ENJOY!! And, keep coming back. I cannot find any dried Anaheim chiles here in Austin TX. Can I substitute New Mexico Chile’s? When you say the chiles…you mean to boil all of the peppers together? Success! First make it from scratch Mexican recipe! I followed the recipe exactly and deseeded all but the árbol Chili’s. For the next round would like a bit more heat, but don’t want to set it on fire. Any recommendations on which or how many chili’s to leave the seeds in? For more heat, I would leave the seeds in the dried California chiles if you are not using any chiles de arbol. Glad you enjoyed the recipe. This is my go-to chili colorado recipe because you kept it simple and the results are amazing! I have impressed quite a few people with it for sure. I have serrano peppers growing almost year round in my garden so I dry them in halves and throw a handful in to spice it up a bit more and I love it. Thank you for posting this! This makes our heart sing! Thank you! This recipe is amazing. My family loved it. Can’t wait to make it again. Thank you so much for sharing. Sometimes I’ll reserve some of the tea for the sauce, but for the most part, we throw it out. I know. It seems like such a waste, right? All the way across the pond! Let us know if there is a recipe you’d like us to make for the blog. Wooowza this is fantastic! I used a little hotter Chile in the recipie but kept everything else the same ! My hubby and I love it and I’m gonna share the leftovers with the adult kids and ma in law!!! Will make again for sure , it’s a lovely recipie and smelled up the whole neighborhood! I hate to disagree, but this recipe was so disappointing! I halved it for my wife and me and wanted it to be something special. Plenty of beef favor, no heat whatsoever. Where is the spice in this recipe? Tasted more like roast beef than Mexican food. We have dried California, Pasilla, and Arbol chiles. Not sure why yours didn’t have any heat. If you decide to make it again, I would throw in more chiles de arbol or even some Ancho Chile Powder. That would definitely boost the fire in your mouth. Thanks for the feedback Estuardo. How did it come out Julie? Yes, you’ll discard the water covering the peppers and onions, maybe reserving a bit if the chile paste is too thick. Hope you enjoyed the meal. So for this dish (chile colorado) I only have dried New Mexico and Guajillo chiles, can you recommend a proper mix of these two? I would use 4 of each. Thank you for the feedback. Yes, one of our favorite recipes for sure. Hi there, I plan to make this tomorrow, not sure if you’ll see this in time but have a question on the chilis. I was only able to fine California and Pasilla chiles. What would be your recommendation on how many of each? Also, if it’s on a slow cooker, any recommended cooking time? Hello. I’ve read amazing review about your Chili Colorado recipe. I’m going to make it today and have a couple questions: )1) I have these 3 types of chilis Arbol, California & guahillo. How many of each? (2) can I crockpot this recipe so that the meat comes out super tender? Yes, you can cook this in a Crock Pot. For the chiles, I would use 5-6 guajillos or California with 2 chile de arbol. This should give you enough heat and flavor. You puree all those ingredients in the blender. Hope this helps. Happy cooking! Great dish! I didn’t want to have too much sauce, so I used 5 pounds of meat with the same chiles, broth etc. Turned out fantastic. Thanks for posting – it is a permanent member of my cooking library. Omg, I just finished making this recipe, My husband couldn’t get enough. I followed the recipe, but added fresh garlic and onion to the blender, I also added a little chili power to the meat before the flour. I can not wait to make this again. Thank you. Patricia – Wonderful to hear how you’ve added your own flair to this recipe. It’s one of our favorites as well. Hope you’re enjoying the holidays. Happy New Year! Keep cooking and keep kind. Hi! Planning to make this, Chile Colorado is my favorite and I always want to try to make it & thanks I found your recipe and you have a Fabulous reviews. I just have 1question , May I know what do you mean about the purée you said in #3 instructions for making a sauce? May I know what purée it is? Thank you in advance. Hi Joana – Yes, simply blend until formed into a thick liquid. I love this recipe! Since we found it, I have made it four times in 2 months!! We can’t get enough of it. We are going to grow our own chilies to dry, so we always are able to make it. Thank you! That’s so wonderful to hear. Thank you. No, we don’t drain the fat, but you’ll want to be sure to trim the fat before you begin cooking it.